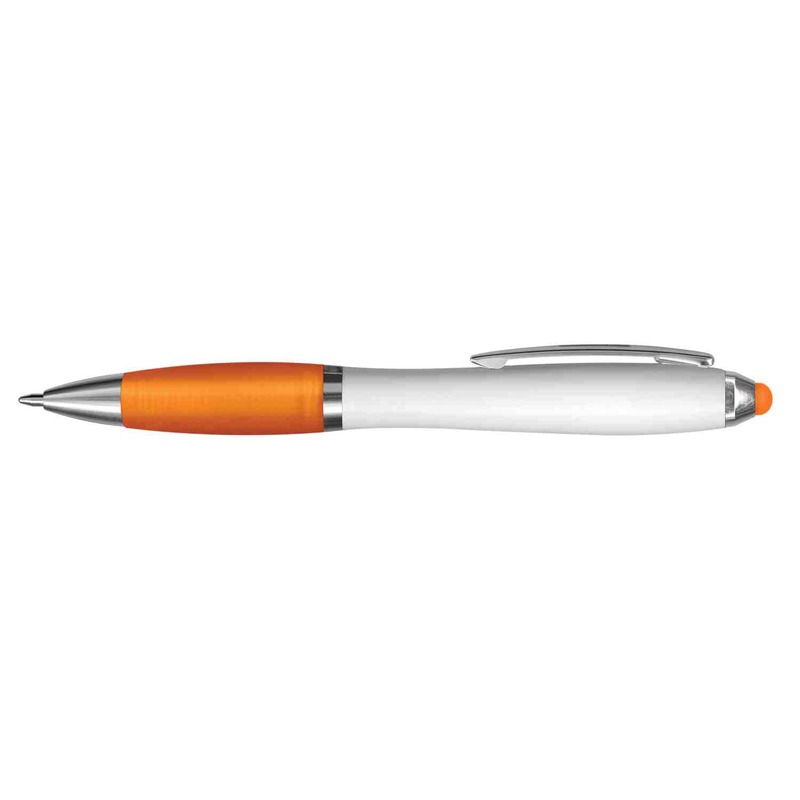 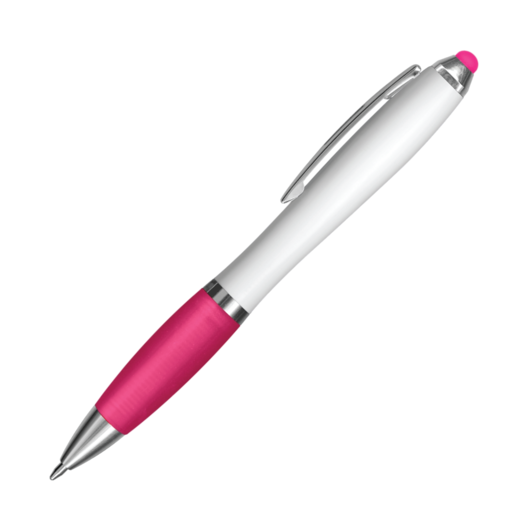 A brightly coloured stylus pen waiting for your logo to bring them to the next level. 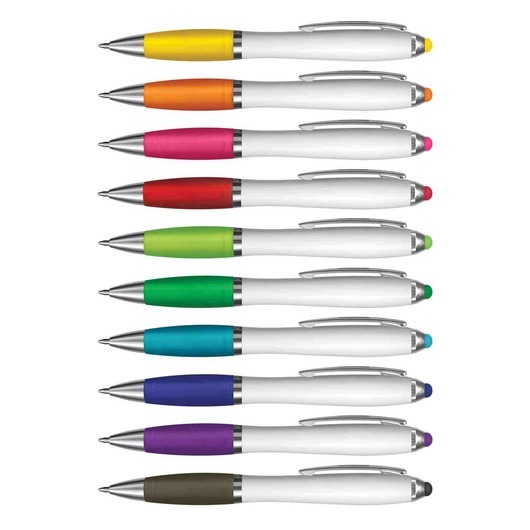 Create a branding experience your target demographic will remember with some of these brightly coloured stylus pens. 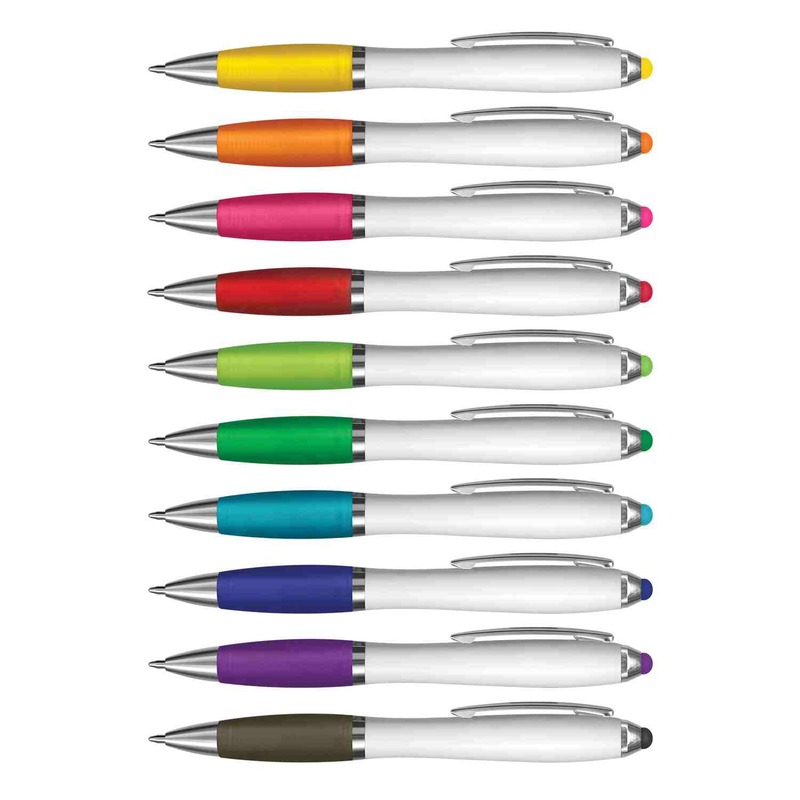 They're a great addition to any pencil case or stationary set and feature a coloured stylus for use on touch screen devices. They're a twist-action plastic and metal ball pen with white barrel, frosted translucent soft touch rubber lacquered grip and shiny chrome trim and a stylus for use on touch screens. They also have a tungsten carbide nib and 600m of German made black ink.